I totally agree with you but I have signed up for a half marathon hoping it would motivate me and it has mentally I just haven't gotten out an ran physically! Great job on 34 miles!! especially by yourself. You are going to do awesome in the Buffalo Run. Very true about races selling out. I have two upcoming races the Biggest Loser 5k on March 26th and the SHAC Sprint Triathlon on April 2nd. I signed up for the Sprint Tri first because I saw that it said it had a limited field of 400 per race distance. A week later I signed up for the 5k only because I didn't want to pay late registration. Races are expensive enough without adding on additional late charges. Well lo and behold the 5k is already sold out and it didn't even make it to late registration and I found out it only had a field of 600. So if there is a race you want to do totally sign up early because then you don't have to worry about it being sold and you save yourself some money not paying late registration charges. And racing is extremely addictive, like shooting heroin into your eyeballs addictive. I ran my first race August 14th 2010 and my 5k and sprint tri will be by 7th and 8th races respectively. I'd run more of them except they get so expensive all the time (how do drug addicts get the money for their fixes I need to look into that :) ). I'd love to run the Hurricane half on April 30th but I got to pay for the marathon next month and doubt I could afford both. So you pick and choose, do you want your heroin (the Saint George marathon) or do you want some mushrooms (the Hurricane half). 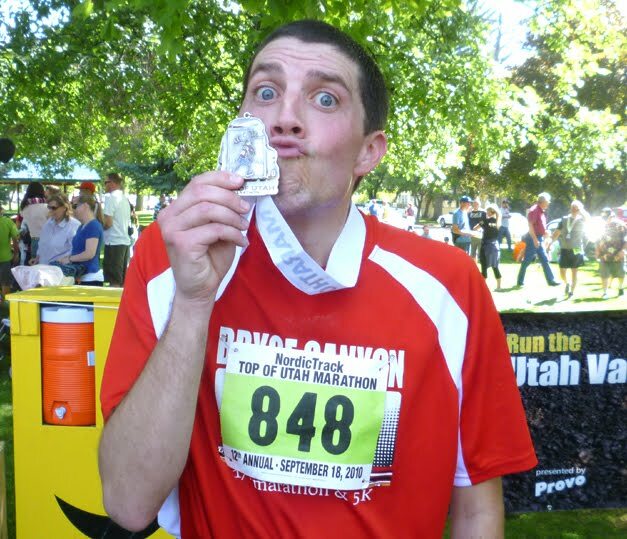 Hi my name is Patrick and I am runner and a race addict.